Masada is a fortress of the ancient Kingdom of Israel, set in the Judean desert south of Jerusalem overlooking the Dead Sea. Located on a flat-topped hill, Masada was built as a palace complex during the reign of Herod the Great from 37-4 BC. It was the site of the last stand of the Jewish Zealots at the end of the First Jewish-Roman War in AD 73 when the fortress held out for two years after the fall of Jerusalem. The 1000 inhabitants committed suicide rather than surrender. Aside from the ruins of the fortress, the site also includes the most complete surviving Roman siege works. 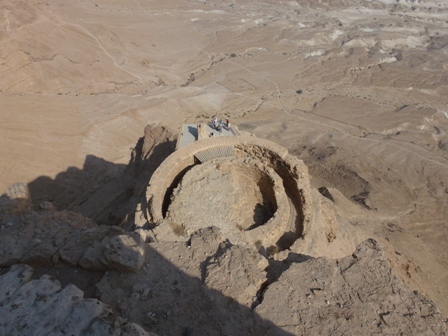 Organised group tours: Click here to see 6 tours to Israel which may include Masada.